Can photographic layers of 3x3 irregularly round shapes depict a portrait of a person's sum total personality and traits, where some layers, pieces, or shapes fade to the background and others push to the surface? Do circles need to be perfectly round to be interesting to look at? Should you even strive to be a well-rounded person? Are your unique traits that shine through enough? 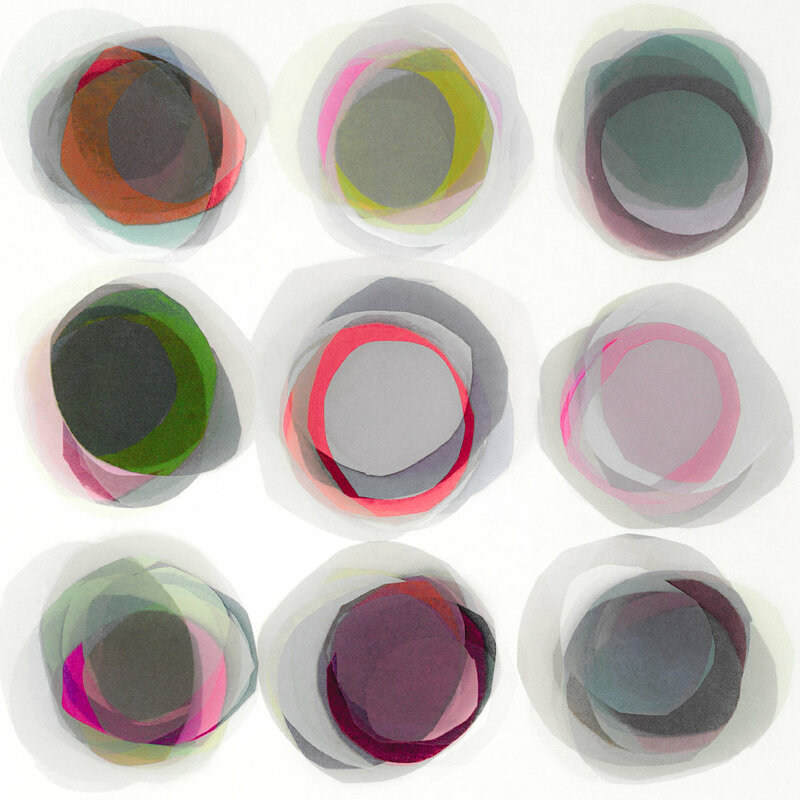 The process for this series involves cutting out circles from magazine pages, arranging nine of them on a white surface, photographing them, and then combining several photographs digitally, using various blending techniques to give each one a uniqueness.